The building where I have my studio has a exhibition of work on all through August, so I’m in it too. 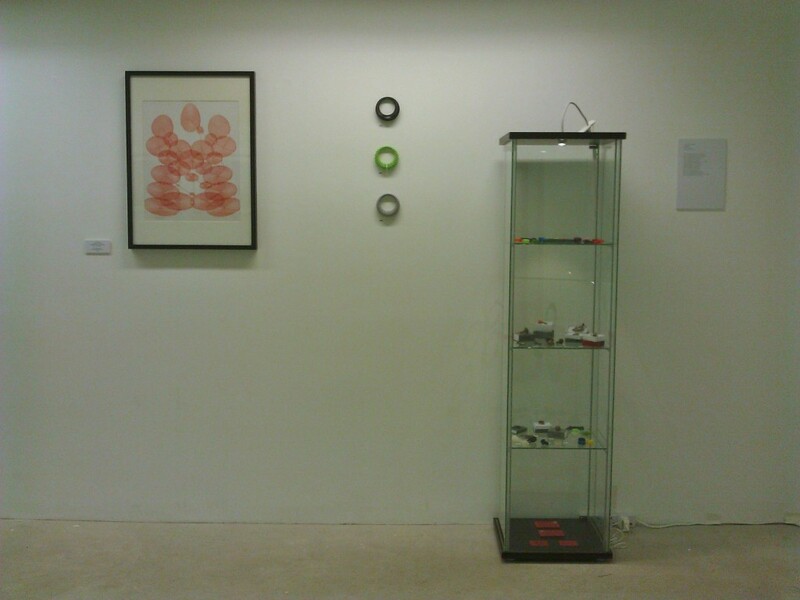 I’ve got a cabinet of jewellery and a polargraph drawing! Why don’t you come and see it? My photograph is dismal, the reality is better. I might have some live drawing at some point, but I failed to move fast enough (and ran out of parts) to get it sorted out for the launch. I’ll be at the preview tonight, Friday 2nd of August at Arts Complex, St Margaret’s House, 151 London Road Edinburgh EH7 6AE, but the show runs all month, and there’s three massive galleries of stuff across a range of budgets, so call in. My stuff is in Gallery 3. If you want to come down, drop me a line and I can come and meet you! And show you some other stuff if you want to see it. Or not, if you don’t want to, that’s fine too. This entry was posted in machine by sandy. Bookmark the permalink.